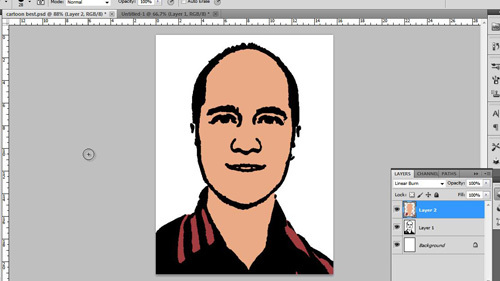 Creating a cartoon of someone can be a great effect and making photo to cartoon in photoshop is easily possible. 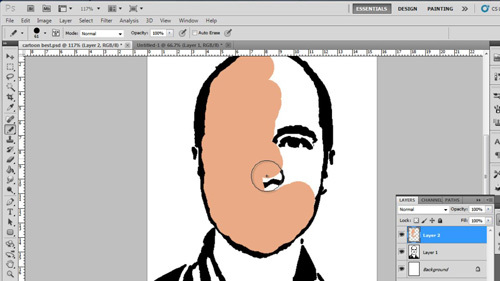 Start Photoshop and load two separate copies of the photograph that you want to turn into a cartoon – the reason for this will become clear later. 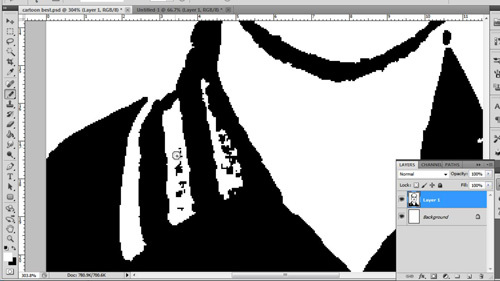 Make sure that the foreground color is set to black and the background color is set to white. Click “Filter” in the main menu then navigate to “Sketch” and click “Stamp”. Here you want to create the outline for your cartoon, try to make sure all the important lines are present. Generally a low smoothness works best, and you will need to experiment with the “Light/Dark Balance” until it looks good on your photo. Click “OK” and you are now going to need to tidy up in image, click on the pencil tool in the toolbar and cover any missing black spots on the image. This process will take some time. Now switch the foreground color to white and clear out the unwanted black spots on the image. Again this will take a while, spend some time working on it as it will look better when we start adding colors. Now navigate to the untouched image of the person and click the sampler tool from the menu. 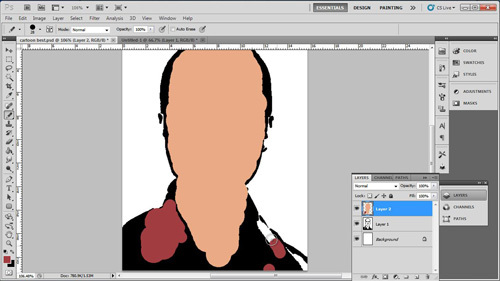 Use it to take a sample of the persons skin color and navigate to the cartoon photo we are creating. Click “Layer” then “New” then “Layer”. Use the pencil tool again to color all skin areas on the person – don’t worry about covering over features, but don’t go outside the bounds. 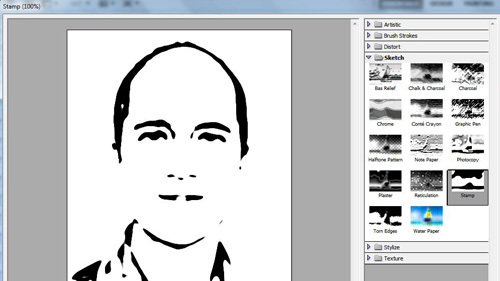 Go back to the original image and sample another area using the sampler tool. Go back to our cartoon and select the pencil tool again and use it to color another part of the image. Here we are working on the shirt but it could be any part of the cartoon. Finally to bring back the details and features, click in the “Normal” drop down box in the layers menu and select “Multiply”. The black details will become visible again and you should have a good looking cartoon and that is how to make a photo to cartoon in photoshop.